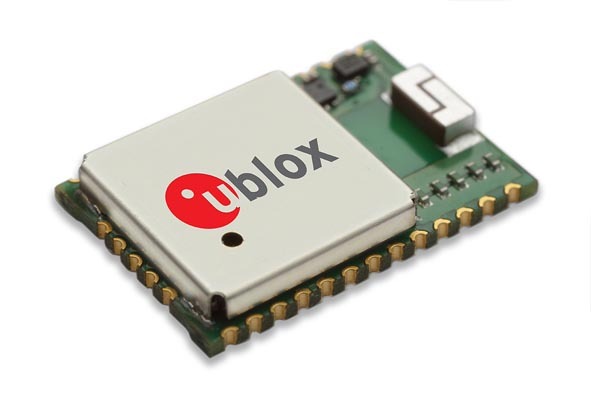 Swiss-based u‑blox has introduced the CAM-M8Q GPS/GLONASS/BeiDou/QZSS antenna module. The module integrates a u-blox M8 satellite receiver IC plus SAW filter, LNA, TCXO, RTC, passives, and a pre-tuned GNSS chip antenna in a 9.6 x 14.0 x 1.95 mm package. According to the company, the surface-mount antenna module combines low power consumption with high-sensitivity, high jamming immunity, and concurrent GNSS operation (GPS/GLONASS, GPS/BeiDou, or GLONASS/BeiDou), offering a drop-in solution product designers and system integrators. CAM-M8Q is targeted at a wide range of applications such as personal locators, handheld navigators, wearable electronics as well as vehicle telematics systems used for emergency call, anti-theft, insurance, and road pricing. The module includes a feature that allows the internal chip antenna to be used as a backup antenna if the end-product design makes use of an external antenna. This is an important feature for applications where there is a risk that the primary external antenna may malfunction or suffer damage, for example in vehicle tracking systems. The module uses the u-blox latest M8 GNSS receiver chip, which has been qualified according to AEC-Q100 and is manufactured in ISO/TS 16949 certified sites. Qualification tests are performed as stipulated in the ISO16750 standard: “Road vehicles – Environmental conditions and testing for electrical and electronic equipment”. The CAM‑M8Q is form-factor compatible to predecessor modules UC530 and UC530M.